Welcome to MajorstuaPluss in Majorstuen Church! We are a Church for Young adults and students in Oslo. We are a part of the Lutheran Norwegian Church of Norway. 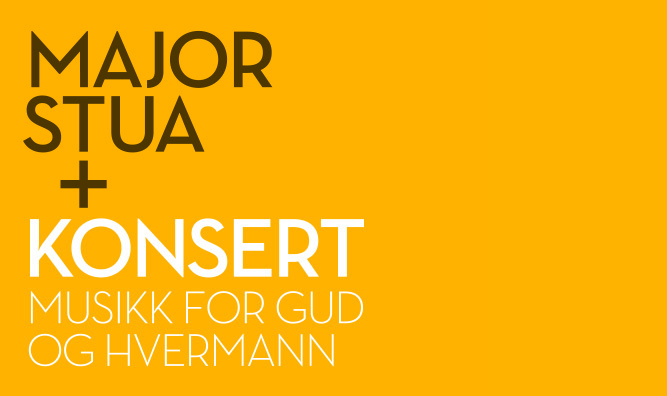 MajorstuaPluss welcome Young adults in the Oslo region to fellowship and worship in our services and concerts. Every second week we have a concert in our beautiful chapel, Capella Johannea. It costs 50 NOK. One Friday a month we have Classical concerst that are either free of charge or has the same prices. Every Thursday we have Suppe og messe which concists of a free meal and a simple worship service. The language is Norwegian, but it is a good fellowship if you want a place to practise your Norwegian. One Sunday evening we have worship services with English translation. We also have a Pastor who speaks Norwegian and is available for a chat. English speaking Young adult in Oslo? Welcome to MajorstuaPluss as an English speaking student or Young adult in Oslo. A concert is a form of musical performance.